"Mangaka" (漫画家) is the Japanese word for manga artist. Outside Japan, manga usually refers to a Japanese comic book, and mangaka refers to the author of the manga, who is usually Japanese. As of 2006, about 3000 professional mangaka were working in Japan. A radio personality or radio presenter is a person who has an on-air position in radio broadcasting. A radio personality who hosts a radio show is also known as a radio host, and in India and Pakistan as a radio jockey. Radio personalities who introduce and play individual selections of recorded music are known as disc jockeys or "DJs" for short. Broadcast radio personalities may include talk radio hosts, AM/FM radio show hosts, and satellite radio program hosts. Sasebo is a core city located in Nagasaki Prefecture, Japan. As of 1 October 2016, the city has an estimated population of 251,417 and a population density of 590 persons per km². The total area is 426.47 km2 (165 sq mi). Moteki (モテキ) is a Japanese manga series written and illustrated by Mitsurō Kubo. It was serialized in Evening magazine from 2008 to 2010, with its chapters collected into four tankōbon volumes by Kodansha. It was adapted into a Japanese television drama in 2010 and a live-action film in 2011. Love Hina is a Japanese manga series written and illustrated by Ken Akamatsu. It was serialized in Weekly Shōnen Magazine from October 21, 1998 to October 31, 2001, with the chapters collected into 14 tankōbon volumes by Kodansha. The series tells the story of Keitarō Urashima and his attempts to find the girl with whom he made a childhood promise to enter the University of Tokyo. The manga was licensed for an English-language release in North America and the United Kingdom by Tokyopop, in Australia by Madman Entertainment, and in Singapore by Chuang Yi. Two novelizations of Love Hina, written by two anime series screenwriters, were also released in Japan by Kodansha. Both novels were later released in North America and the United Kingdom by Tokyopop. 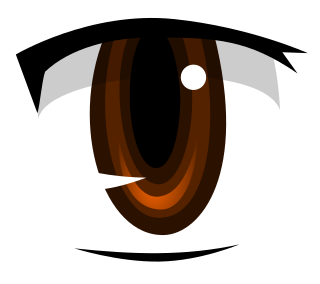 Tokyopop, styled TOKYOPOP, and formerly known as Mixx Entertainment, is an American distributor, licensor, and publisher of anime, manga, manhwa, and Western manga-style works. The German publishing division produces German translations of licensed Japanese properties and original English-language manga, as well as original German-language manga. Tokyopop's US publishing division publishes works in English. Tokyopop has its US headquarters near LAX in Los Angeles, California. Its parent company's offices are in Tokyo, Japan and its sister company's office is in Hamburg, Germany. Fairy Tail is a Japanese manga series written and illustrated by Hiro Mashima. It was serialized in Kodansha's Weekly Shōnen Magazine from August 2, 2006 to July 26, 2017, with the individual chapters collected and published into 63 tankōbon volumes. The story follows the adventures of Natsu Dragneel, a member of the popular wizard guild Fairy Tail, as he searches the fictional world of Earth-land for the dragon Igneel. Ōshō is one of the eight titles in Japanese professional shogi. The tournament is co-sponsored by Sports Nippon and the Mainichi Shimbun with additional support received from the Igo & Shogi Channel. The tournament was first held in 1950 as a non-title tournament. The following year in 1951, it was elevated to major title status as the third major title along with the Meijin and Tenth Dan title tournaments. Vertical, Inc., headquartered in New York, United States, is a Japanese novel and manga publishing company founded in 2001 by Hiroki Sakai. In February 2011 the company was bought by Kodansha (46.7%) and Dai Nippon Printing (46.0%). Its offices are on the seventh floor of the 451 Park Avenue South building in Midtown Manhattan. Kobo, the Li'l Rascal, also known as Kobo-chan (コボちゃん), is a manga created by Masashi Ueda. Kodansha published 3 volumes of the manga as a bilingual Japanese-English editions, and Kodansha America distributed the book in the United States. Saint Young Men is a Japanese slice of life comedy manga series written and illustrated by Hikaru Nakamura. Its plot involves Jesus Christ and Gautama Buddha, who are living as roommates in an apartment in Tokyo. It has been serialized by Kodansha in the monthly seinen manga magazine Morning 2 since September 2006, with chapters collected in sixteen tankōbon volumes as of November 2018. A-1 Pictures adapted the manga series into two original animation DVDs (OADs) and an anime film which was released on May 10, 2013. It also inspired a ten-episode live-action web series in 2018. Kodansha USA Publishing is an American publishing company and subsidiary of Japanese publishing company Kodansha. Established in July 2008, Kodansha USA publishes books relating to Japan, Japanese culture, and manga, the latter under the Kodansha Comics imprint. Attack on Titan is a Japanese manga series written and illustrated by Hajime Isayama. The series began in Kodansha's Bessatsu Shōnen Magazine on September 9, 2009, and has been collected into 27 tankōbon volumes as of December 2018. It is set in a world where humanity lives in cities surrounded by enormous walls protecting the humans from gigantic man-eating humanoids referred to as titans. Chihayafuru (ちはやふる) is a manga series written and illustrated by Yuki Suetsugu. It has been serialized in Kodansha's Be Love magazine since December 2007. It is about a school girl, Chihaya Ayase, who is inspired by a new classmate to take up Hyakunin Isshu karuta competitively. A 25-episode anime television series adaptation aired from October 2011 to March 2012. A 25-episode second season aired from January to June 2013. A third season will premiere in 2019. Three live action film adaptations were released from 2016 to 2018. Again!! is a Japanese manga series written and illustrated by Mitsurō Kubo. It was serialized in 2011 in Weekly Shōnen Magazine published by Kodansha until reaching its conclusion in 2014. It was adapted into a Japanese television drama series in the summer of 2014. Yurika Kubo is a Japanese voice actress, model, and singer from Nara Prefecture. She is best known for her role as Hanayo Koizumi in the idol group μ's, which is part of the Love Live! multimedia franchise. Flying Witch is a Japanese manga series by Chihiro Ishizuka. It has been serialized since September 2012 in Kodansha's shōnen manga magazine Bessatsu Shōnen Magazine and collected in seven tankōbon volumes. The manga was first published as a one-shot on July 9, 2010 in the same magazine. An anime television series adaptation aired between April 9, 2016 and June 25, 2016. To the Abandoned Sacred Beasts is a Japanese dark fantasy manga series written and illustrated by Maybe. The series is published by Kodansha in Japan and by Vertical in North America. An anime television series adaptation by MAPPA will premiere in 2019. Attack on Titan: Lost Girls is a Japanese novel written by Hiroshi Seko. The book is a spinoff of the manga series Attack on Titan by Hajime Isayama. 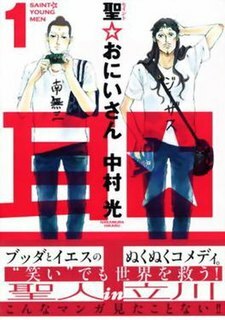 A manga adaptation began serialization in August 2015 and ran until May 2016. A three-part original anime DVD adaptation was released on December 8, 2017, April 9, 2018 and August 9, 2018 with the 24th, 25th, and 26th limited edition volumes of the original manga, respectively. Yuri!!! on Ice is a Japanese sports anime television series about figure skating. The series was produced by MAPPA, directed by Sayo Yamamoto and written by Mitsurō Kubo. Character design was by Tadashi Hiramatsu, and its music was composed by Taro Umebayashi and Taku Matsushiba. The figure skating was choreographed by Kenji Miyamoto, who also performed routines himself which were recorded and used as skating sound effects. The series premiered on October 6, 2016 and ended on December 22, with a total of 12 episodes. A Yuri on Ice feature film, Ice Adolescence, is planned for release in 2019. The series revolves around the relationships between Japanese figure skater Yuri Katsuki; his idol, Russian figure-skating champion Victor Nikiforov, and up-and-coming Russian skater Yuri Plisetsky; as Yuri K. and Yuri P. take part in the Figure Skating Grand Prix, with Victor acting as coach to Yuri K.
My Lesbian Experience With Loneliness, or The Private Report on My Lesbian Experience With Loneliness, is an autobiographical manga by Kabi Nagata. It was originally published by Nagata on the art website Pixiv; it was later published in a single print volume by East Press in June 2016 in Japanese, and by Seven Seas Entertainment in June 2017 in English, with this version winning the Harvey Award for Best Manga of 2018. It was well received by critics, one of whom called it a counterpoint to the "yuri fantasies" common to the genre, and was included on several lists of the best comics of the year, including the annual Kono Manga ga Sugoi! list. A sequel, My Solo Exchange Diary, was released in Japan in December 2016, and in English in June 2018. Girls' Last Tour is a Japanese manga series by Tsukumizu, serialized in Shinchosha's Kurage Bunch online magazine from February 21, 2014 to January 12, 2018 and collected in six volumes. The manga is licensed in North America by Yen Press. An anime television series adaptation directed by Takaharu Ozaki and animated by White Fox aired in Japan between October and December 2017. Real Girl, is a Japanese manga series written and illustrated by Mao Nanami. The series was serialized in Kodansha's Dessert between July 2011 and May 2016, with the series later being compiled into twelve tankōbon volumes released between December 2011 and August 2016. The series is currently published digitally in English by Kodansha Comics. An anime television series adaptation directed by Takashi Naoya and animated by Hoods Entertainment aired from April 4 to June 20, 2018 on AnichU programming block. A second season premiered on January 8, 2019. ↑ "久保ミツロウ". Natalie Comics. Retrieved 25 October 2018. ↑ ""ネガポジが生んだヒロイン"　久保ミツロウ". Asahi Shimbun Digital (in Japanese). Retrieved 25 October 2018. ↑ "Vertical Licenses CITY, Moteki, My Boy Manga". Anime News Network. Retrieved 25 October 2018. ↑ "Kodansha Comics Licenses Again!! Manga". Anime News Network. Retrieved 25 October 2018. ↑ Takamichi Asakawa and Yomiuri Shimbun. "Mitsuro Kubo & Mineko Nomachi: Unenthusiastic star performers". The Japan Times (archived). November 15, 2013. Retrieved 2017-11-24.